It is self-evident that research and creative inquiry is at the heart of the Agency within a vibrant and supportive working environment. In its effort to discover, disseminate and apply target information sharing and testing programs, ADAK intends to collaborate with researchers both local and international in sharing evidence based research with all stakeholders. In recognition of its vision and mission, the Agency has enhanced the research division in order to build on a dynamic research culture that enriches the knowledge in line with its mandate to help in ensuring doping free sport. Prevalence and risk factors of doping in Kenya. Investigations on the use of food supplements and traditional herbs as performance enhancing substances among Kenyan track and field athletes. Mapping of various sports/health and recreation participants in Kenya. Assessment of anti-doping knowledge levels on athletes and their support personnel in Kenya. Situational analysis on the need to mainstream values based education in primary and secondary schools in Kenya. 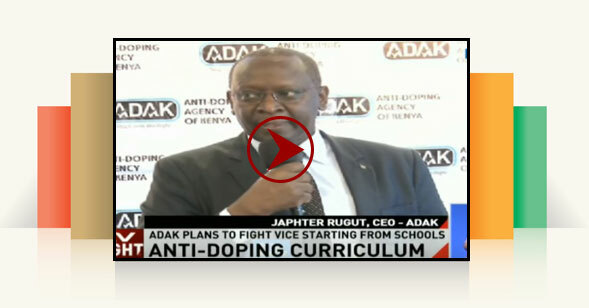 In consultation and partnership with the Regional Anti-Doping Organization, the World Anti-Doping Agency and any other anti-doping organizations undertake anti-doping activities in Kenya. Everyday is a new day for us and we work really hard to give satsifactory results. Copyrights © 2018 ANTI-DOPING AGENCY OF KENYA | All rights reserved.